Izabella Labedzka. Gao Xingjian’s Idea of Theatre: From the Word to the Image. Leiden: Brill, 2008. 248 pp. ISBN-13: 978 90 04 16828 2; ISBN-10: 90 04 16828 1. Gao Xingjian turned 70 this year and the attention has never been greater as students and scholars alike eagerly engage in the ambitious exploration of his work. Izabella Labedzka’s Gao Xingjian’s Idea of Theatre: From the Word to the Image is the latest book that celebrates Gao Xingjian’s work and is a wonderful addition to other academic studies that look in detail at Gao’s theater, such as Sy Ren Quah’s Gao Xingjian and Transcultural Chinese Theatre and Henry Zhao’s Towards a Modern Zen Theatre: Gao Xingjian and Chinese Theatre Experimentalism. 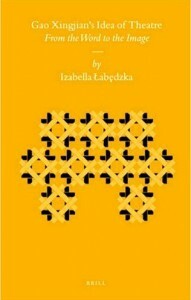 Izabella Labedzka, Professor of Chinese Studies and Theatre Studies at Adam Mickiewicz University in Poznan, Poland, specializes in Chinese and comparative drama, and with this book she attempts to explore anew Gao’s work, building on these previous studies and generating new interest in Gao’s theater. There are some great merits to this study, and not a few tenuous features and flaws. While Labedzka so eagerly proposes to pursue a new and ambitious approach–that of linking Gao’s theatrical work to other practitioners’ groundbreaking achievements in theater–her efforts are at times undermined by that very ambition and by her enthusiasm for her project. While this can make for engaged, passionate prose, it lacks at times academic rigour, as well as a precise and clear direction. Paradoxically, it is precisely Labedzka’s effort to move beyond seeing Gao’s work in isolation, her expansive perspective and breadth of scope, which are the book’s great merit and its downfall. This study aims and focuses on creating a genuine and generous network of connections, an interlinked, dynamic, comparative and fluid discourse that moves the study of Gao’s theater well beyond the familiar figure of the writer/intellectual in exile. Labedzka’s study sets out to trace the threads in the complex tapestry of theatrical traditions informing Chinese contemporary theater, including the rediscovery of some of the most prominent Western theatrical figures who have contributed to it. Laudable though this ambitious undertaking may be, it sometimes degenerates into a mere melting pot of information and reflections that are not always rigorous, precise, or well-organized. A closer look at the interpretive choices being offered reveals that the two parts of the question do not necessarily exclude one other: “refreshing” and “create a new form of theatre” seem to have a very similar meaning in this context, both implying revisiting and building on existing traditions. One can suppose that these questions reflect the comparative nature of this study, aiming at a balanced and analytical understanding of Gao’s multifaceted theater, which, unlike Zhao’s study (mentioned above) and many others, does not simply highlight Gao’s originality. Such comparative nuance, however, needs to be couched in a less vague rhetorical style. This passage from the introduction is symptomatic of how the study develops, without a clearly defined and logical method and structure, ultimately leaving many of the issues it addresses suspended and unresolved. The introduction also presents some unsubstantiated major claims against Gao’s theatrical success. It is asserted, for example, that Western reviewers and audiences “reproached” Gao’s work partially because they could not understand it and because it was not served well by the very actors involved in the staging of his plays. This statement is supported by scant evidence: only two sources are cited–one from a Polish magazine and the other from the British newspaperFinancial Times. The latter is especially suspect, since Gao’s plays have never been staged on the British isles. Unfortunately, I have been unable to trace either source. It also seems apparent to me that Labedzka has deliberately disregarded many positive responses to Gao’s work published by French reviewers. Following the introduction, the book is divided into six chapters. As mentioned above, while one is not always certain as to the study’s overarching method and structure, there is a sense that the first two chapters are conceived as providing the background to and roots of Gao’s theatrical work in both Western and Eastern theatrical traditions, while the remaining four chapters are detailed investigations into some of Gao’s plays. The first chapter gives a good account of how the Chinese avant-garde developed from the 1980s to the 1990s. Several aspects of Gao’s theatrical practice are delineated and linked to the Chinese avant-garde, and the actor’s relationship to space and the audience are discussed. Building on Gao’s links to Chinese theatrical traditions, the second chapter deals with the dichotomy “illusion/anti-illusion” and focuses on the relationship between actor and spectator. This chapter makes several pertinent connections between Gao and Western theatrical innovators. For example, in addressing Gao’s interest in realism, Labedzka rightly points out that that Gao did not consider himself “an enemy of realism” (39), although he opted for a non-realist approach once he was exposed to the work of influential Western theatrical innovators. The chapter traces these influences, starting with Meyerhold, moving on to Grotowski, and concluding with Brecht. So far this is old territory in the study of Gao’s theater–even Gao himself traces this lineage in his collections of essays from the 1980s. What is new here is the impressive amount of material and the passionate attention that Labedzka dedicates to each Western figure and the relationship of his ideas to Gao’s work. In particular, this is possibly the only study to have provided a detailed assessment of the influence that Grotowski’s ideas of “poor theater” and “holy actor” have had on Gao’s theatrical work and how this contributed to Gao’s success in creating a kind of theater that simultaneously focuses on both the actor and the audience. The third chapter on narrative strategies investigates some of Gao’s plays in more detail but fails to make any substantial points: Labedzka seems to get distracted as her focus moves from looking at narrative in Gao’s plays to talking about the creative process behind the production and finalization of the scripts. In her discussion of Alarm Signal, for instance, she mentions the element of improvisation as part of the preparation of the play, which tells us more about the creative process than it does about narrative strategies. Later on, the focus shifts to language, the relationship of the theatrical creation with music, and images. Some general statements are made when comparing Gao and French postwar authors, as well as Gao and Chinese traditional literature; in each case, no specific examples are provided as evidence. However, when Labedzka starts analysing Gao’s post-exile plays and emphasizes the use of musical and visual elements, interesting points are made about the use of images as part of the literary experience: she refers to one of Gao’s short stories, “In an Instant,” as made of “short quasi-photographic scenes” (109). Labedzka next segues into a discussion of Gao’s concept of a type of language that transcends meaning, then she goes back to analyzing the actor-audience relationship with some general references to Gao’s idea of “cold literature” as a non-utilitarian type/act of writing. The fourth and shortest chapter of this study is dedicated to the poetics of the absurd and the grotesque in Gao’s theater. Here the common comparison between Beckett and Gao within the discourse on absurdist theater yet again elevates Gao’s use of the grotesque above that of his peers–in this case, no less than Beckett–as Labedzka argues that Gao’s theater combines both the ridiculous and demonic, whereas Beckett’s merely explores philosophical questions. Bus Stop and especially Dialogue and Rebuttal are celebrated as the best incarnations of the grotesque since both of them combine terrifying and comical elements, demons and clowns together (142). In this regard, I would argue that speaking of humorous elements in Gao’s work seems an exaggeration, considering that it is the demonic and the gruesome rather than the ridiculous and the funny that most often take center stage in Gao’s plays, especially in Dialogue and Rebuttal. The penultimate chapter on oneiric imagination looks at the post-exile plays The Other Shore, Between Life and Death, and Nocturnal Wanderer and touches on the concept of the neutral actor and the idea that a play is a “process” of “never-ending transformations” (147). References are made to Tadeusz Kantor, a Polish painter mostly famous for his avant-garde approach to stage design. It is stated that Kantor and Gao disliked elaborate costumes and preferred the “frugality of the used means [sic]” (148), and that both supported the idea of art as a process rather than a product. The link is rather interesting and poignant as Labedzka continues explaining that both Gao and Kantor considered a stage prop to be “enlivened by acting” and used “mannequins who carry the message of Death” (148). After investigating Gao’s use of mannequins in The Other Shore, Labedzka proceeds to an analysis of the other two plays. Here she specifically describes Between Life and Death as a study of the “human psyche,” investigating how stream-of-consciousness is used in the play. A few at times generic comparisons are made with “Western oil painting which uses colour spots which turn into a discernible contour only when seen from a distance” (159), and with creators of nouveau roman. In the latter instance, Labedzka refers interestingly to Michel Butor’s idea that the “play of pronouns” can allow “differentiation between various levels of consciousness” (160). When analysing Nocturnal Wanderer, more attention is given to the creative and performative process and how these inform Gao’s representation of the “oneiric” imagination. As mentioned in the introduction, Labedzka claims that there is a need to approach Gao’s plays from a variety of theoretical and disciplinary angles. In the case of her last chapter, an ethnographic approach is chosen. Gao, she here argues, in plays like Wild Man and The Nether World (a minor work), draws inspiration from what is defined as “ceremonial and or ritual theatre,” in that he makes use of folk songs, dances, ritual dance and mime (185). Despite the validity of her observations, in this case some definitions of the terms used–“ethnographic,” “ceremonial theatre,” etc.–would have clarified her argument and better explained how this ethnographic approach is linked to Gao’s use of para-theatrical and non-textual devices. However, the ethnographic study of Gao’s approach still does lead to an interesting comparison with Antonin Artaud’s idea of Total Theater, a theater that is all about “a synthesis of diverse arts” (196). The last play analysed in this chapter and in the book is Snow in August. 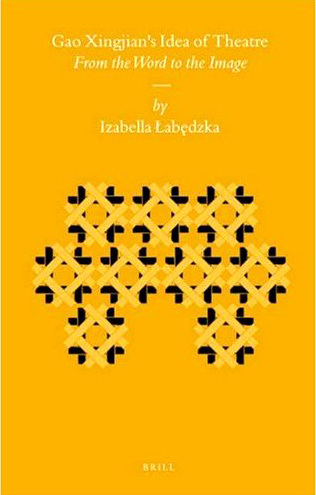 Here Labedzka’s analysis focuses on the creative and performative processes and draws from Pavis’s definition of “intercultural theatre,” “an hybrid form which evolved from a more or less conscious intermingling of performance traditions from various cultures” (210). On the whole, Labedzka’s interpretations of Gao’s plays in the last two chapters move well beyond familiar script-based approaches and stress Gao’s ability and innovations as a director and artist rather than only as a writer. In doing so, they succeed in elucidating many interesting aspects of Gao’s theatrical vision. However, unlike Sy Ren Quah’s study, mentioned earlier, the analysis often comes across as less rigorous, imprecise, and at times inconclusive, as it jumps from one to another aspect of Gao’s work, and from one comparison to another. It may also be the case that Labedzka is too reliant on Gao’s own essays and ideas in her efforts to tease out the constituent elements of his plays and in justifying his artistic choices. This book ends with a quotation, from one of Gao’s essays, summing up Snow in August: “Snow in August is the dream about such a theatre . . . such theatre is not only total, but also cruel in its extreme precision and discipline” (218). The uninterrogated import of such statements indicates that, like several other scholarly explorations of Gao Xingjian’s theatrical works, this study deviates from rigorous inquiry and analysis and lapses into hagiography. Furthermore, by the end of the book, these types of (frequently comparative) statements highlight Gao’s unconditional superiority in the theatrical world, serving to isolate Gao from the notion of a greater theatrical community, and in the process contradicting the author’s initially stated methodological approach. Another result of this excessive (and to some extent justified) veneration for her subject is that the questions Labedzka raises in her introduction are never really answered, and the word of Gao is presented in lieu of a summary and conclusion. Despite its not inconsequential drawbacks and flaws, one cannot deny that Izabella Labedzka’s Gao Xingjian’s Idea of Theatre: From the Word to the Imagemakes numerous invaluable, highly-informed, and intelligent contributions to the study of Gao Xingjian’s theater, and will steer the study of Gao’s theatrical works in many new and productive directions.
. Gao Xingjian xiju yanjiu–dangdai xijujia yanjiu congshu (Study of Gao Xingjian’s theater: contemporary playwrights research series) (Beijing: Zhongguo xiju, 1987).